A Google self-driving car was pulled over near the company’s Mountain View, California headquarters because it was driving too slowly, police said. 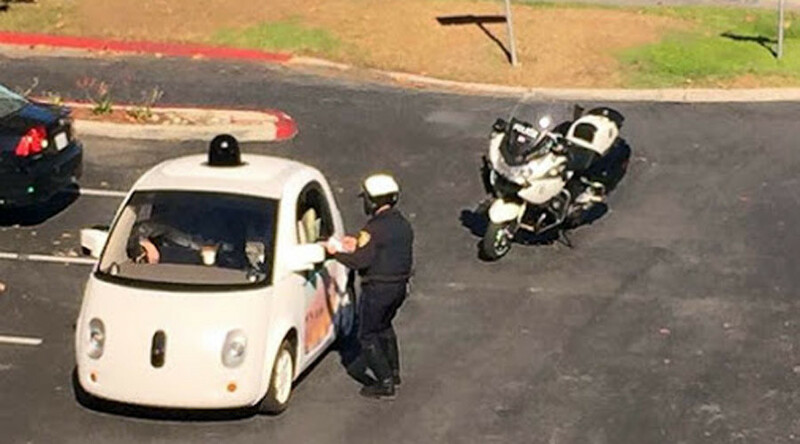 According to the Mountain View Police Department (MVPD), they observed traffic backing up behind the peculiar-looking prototype vehicle, which was traveling at 24 mph in a 35 mph zone, about two miles from Google’s headquarters. The statement goes on to say that self-driving cars, defined as “neighborhood electric vehicles,” operate under a special section of the vehicle code and can be used on roadways with a 35 mph speed limit or lower, and that the car had broken no law. The MVPD “meets regularly” with Google to ensure that their vehicles operate safely in the city, the statement said. For its part, the Google Self-Driving Car Project seemed to appreciate the humor of the situation. In a Google Plus post, they explained that the speed of the prototype was capped at 25 mph for safety reasons. "We want them to feel friendly and approachable, rather than zooming scarily through neighborhood streets." As much as it may look like the robots are getting special treatment, the autonomous car did not get a ticket this time – and in fact, they never have been on the receiving end of the long arm of the law. "After 1.2 million miles of autonomous driving (that's the human equivalent of 90 years of driving experience), we're proud to say we've never been ticketed!" the car project posted.